Born in Greece, Anna van Dongen graduated with a Masters Degree in French and History of Art from the University of Athens and studied interior design at the Regent Academy of Fine Arts. Anna has had a successful career in print and broadcast media and international PR for major corporations. However, after moving to London in the mid-1990s, and with over 20 years of experience in renovating her own homes in various European countries, she decided to switch careers to focus on her passion for art and interior design. She launched her company, space matters interior design, in 2006. The company offers high-quality interior design services for the residential and commercial market. Although many of her clients are based in North London, where she lives with her family, she has completed numerous projects in the UK, The Netherlands and Greece. space matters offers a full range of design services, from interior styling, space planning and conceptual design, to complete renovation and project management. 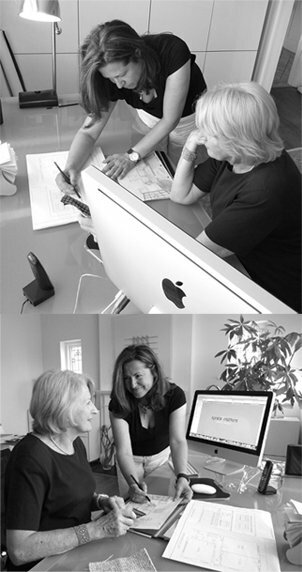 Anna prides herself on achieving distinctive and often bespoke designs, uniquely tailored to the requirements of the client, and finished to the highest standard. She is frequently called on for her expertise in space planning and has been featured several times in the press.